Grammarly is our favorite free grammar checker tool. We love the free version of Grammarly, but if you want to upgrade to Grammarly Premium, we have negotiated a special Grammarly discount for you. 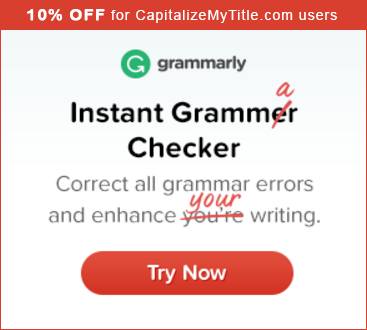 With our special link below you can get access to 10% percent off Grammarly Premium. If you want to learn more about Grammarly before you buy, read our Grammarly review.